In the last ten years, research into workplace conflict has shifted away from searching for benefits of so-called productive or positive conflict, and toward showing the damage caused by all conflict. Much of this new research was inspired by Carsten De Dreu’s 2008 article, The Virtue and Vice of Workplace Conflict: Food for (pessimistic) thought. When De Dreu analyzed previous research on workplace conflict, he made some alarming discoveries. In 2017 alone, more than twenty research articles were published citing De Dreu’s work. At best, you might be able to make conflict healthier, but conflict does not make you healthier. De Dreu said conflict happens when one party, be it an individual or group, believes another individual or group is thwarting its goals. Conflict happens when other people oppose or inhibit what we’re trying to achieve. In organizations where people compete for scarce resources, conflict is often a normal part of the workday. De Dreu’s findings about workplace conflict provide a strong counter narrative to what we’ve been told. How often have you heard someone say, “you shouldn’t avoid conflict,” or “conflict is good, as long as it’s managed.” In the workplace, current opinions about workplace conflict are based on outdated and disproven research. We’re stuck in the past and it’s impacting profitability and our mental wellbeing. It’s no wonder that conflict is so hard on people. So many criteria need to be met for conflict to have any positive impact. To minimize the destruction caused by workplace conflict, De Dreu found that conflict needs to be about tasks, not people. It can’t be about personalities, office politics or values. Before engaging in conflict, everyone should trust each other and be satisfied with a less than ideal outcome. Then, we need to keep the intensity of the conflict as low as possible. Even when conflict is confined to this narrow set of circumstances, it has a neutral impact, rather than being truly positive. In fact, De Dreu found that, no matter how well we try to manage conflict by confining it to these circumstances, the negative outcomes of conflict usually outweigh any benefits. De Dreu criticized much of the previous research that showed the benefits of conflict management. He found that organizations have needed conflict management, not to realize the benefits of productive/positive conflict, but to limit the damage caused by any conflict. But if you still think that sound conflict management is so much more than just damage control, De Dreu also showed the cost of managing conflict. De Dreu found that managing workplace conflict in order to enable better decision-making actually caused decision-making time to increase by 30 to 50 percent. When we’re managing conflict, we’re diverting resources from other important tasks, attending to customers and being innovative. When we manage conflict and come to an agreement that is beneficial to both parties, the outcome often transfers the cost onto someone else. This is called parasitic integration. Using De Dreu’s example, imagine a large European pharmaceutical manufacturer who is suing a third-world pharmacy chain for illegally selling the European manufacturer’s product. In the end, the pharmacy agrees to pay a royalty to the manufacturer, but needs to raise its retail prices to do so. The outcome is satisfactory to both the manufacturer and the pharmacy, but the customer now has to pay more. Study after study shows the negative impacts of workplace conflict on individual health and wellbeing. Workplace conflict is correlated to poor physical health, job dissatisfaction, exhaustion and burnout. Furthermore, there are no studies that show any benefits to physical health and mental wellbeing attributable to increases in workplace conflict. At best, you might be able to make conflict healthier, but conflict does not make you healthier. By writing this article, I know I’m not making things easier. I’m not providing more support for the benefits of workplace conflict or for the virtues of sound conflict management. The truth is that workplace conflict is harmful and conflict management is a zero-sum game, at best. De Dreu concluded, like so many others, that conflict is inherent to organizations and that avoiding or preventing it is usually not an option. 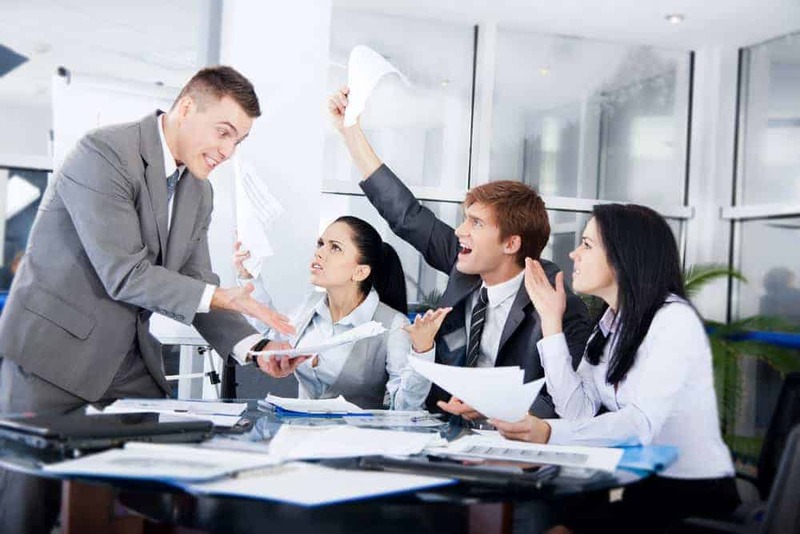 However, as individuals, we can try some difficult things to reduce the impact of workplace conflict on our health and wellbeing; more about that in Part 2 of this article.